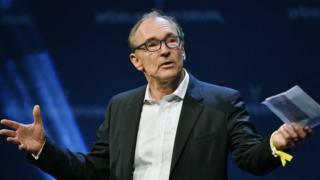 Image caption Sir Tim Berners-Lee said he wants to put "a fair level of data control back in the hands of people"
The inventor of the world wide web, Sir Tim Berners-Lee, has unveiled a plan to tackle data abuse and fake news. In an open letter to mark the web's 28th anniversary, Sir Tim has set out a five-year strategy amid concerns he has about how the web is being used. 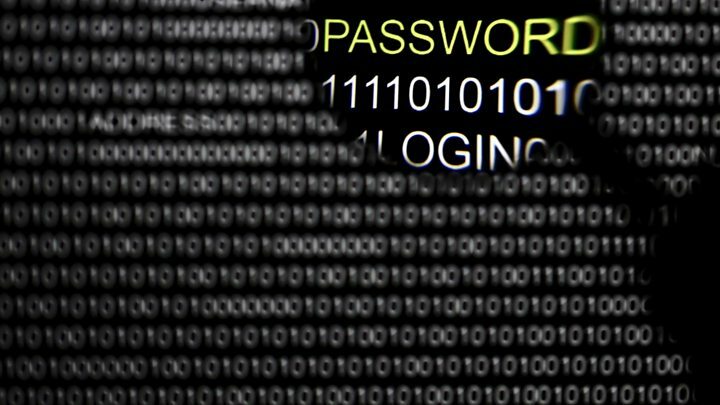 Sir Tim said he wants to start to combat the misuse of personal data, which creates a "chilling effect on free speech". He also called for tighter regulation of "unethical" political adverts. The British computer scientist said he wants the people who have helped develop the web with blogs, tweets, photos, videos and web pages to help come up with practical solutions to make a web "that gives equal power and opportunity to all". Users are often unable to tell outlets what data they would not like shared, Sir Tim said. Terms and conditions were "all or nothing". Sir Tim said he wants to work with companies to put "a fair level of data control back in the hands of people". He also expressed concerns that government surveillance is going too far and stopping the web from being used to explore topics such as sensitive health issues, sexuality or religion. Social media sites and search engines must be encouraged to continue efforts to combat the problem of fake news, Sir Tim said. However, central bodies deciding what is true or not should be avoided, he added. Certain algorithms can favour sensationalist information designed to surprise or shock users rather than reflect the truth and can "spread like wildfire", Sir Tim said. The arrival of social media - and the fight for clicks - has meant real and fictional stories are presented in such a similar way that it can be hard to tell the two apart. So-called "fake news" could be false information deliberately circulated by those who have scant regard for the truth but hope to advance particular (often extreme) political causes and make money out of online traffic. Or it could be false information circulated by journalists who don't realise it's false. Fake news has become so prevalent that the Commons Culture, Media and Sport Committee is now investigating concerns about the public being swayed by propaganda and untruths. The committee was spurred by claims that voters in the US election were influenced by fake news, it said. Pope Francis was reported to have backed Donald Trump's presidency campaign, for example, when he had not made an endorsement. Meanwhile, Mr Trump himself has used the term fake news to refer to critical stories about his administration, picking out organisations such as CNN and BBC. Sir Tim advocated transparency so users can understand how web pages appear on their devices and suggested a set of common principles for sites to follow. And he raised concerns about how online political advertising had become a "sophisticated" industry. Sir Tim said there were indications some targeted advertising was being used in "unethical ways" to keep voters away from the polls or directing people to fake news sites. He suggested companies could put subscription payments and small automated charges in place to make money without these types of adverts. However, despite highlighting issues on the world wide web which be believed need addressing, Sir Tim has admitted the solutions "will not be simple".